As you drive the Metro Kids vehicles through the townships of Cape Town, children jump up and down and run after you, shouting “Sidewalk, Sidewalk”. 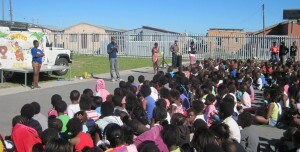 “Sidewalk”, as it has become known, is the highlight of the week for thousands of South African children! Each week Sidewalk is held on a basketball court, on a field, in a church hall or in a community area. The children of the area know that each week, at the same time, they will have one and a half hours of fun and laughter with a life-changing message. The programme has been especially designed to be energizing, interactive and educational for children ages 4 to 12. Teenagers from these areas who want to make a difference in their own communities help teach the Christian-based life skills message. Positive relationships are made between children and Metro Kids staff, which bring long-lasting constructive change. 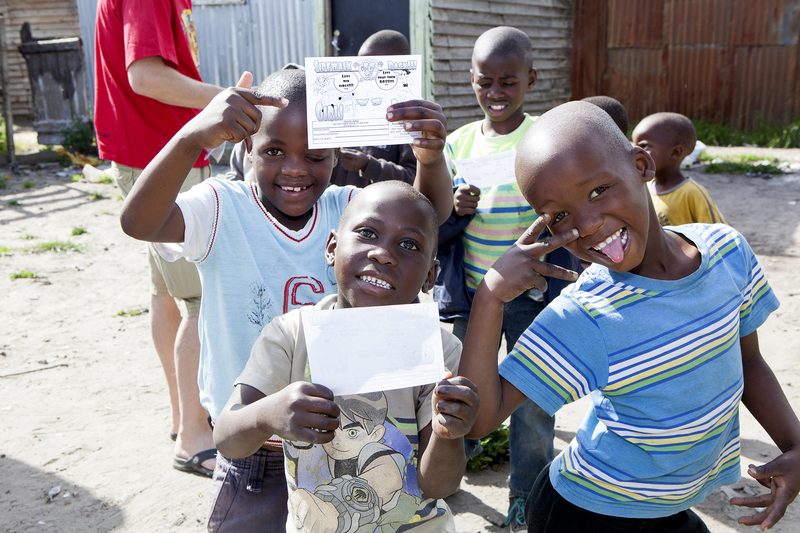 At present, 5,000 children attend one of the 15 Sidewalk programmes each week in Cape Town. Metro Kids has vehicles that are able to carry equipment and have dual-battery systems that enable a sound system to be operated. 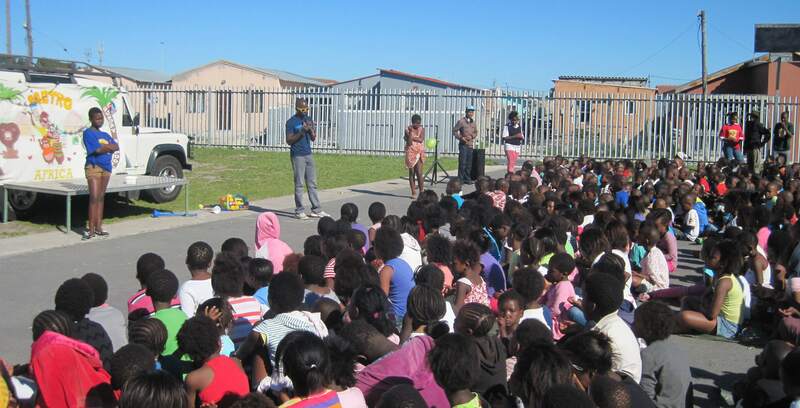 The Sidewalk programme can be held anywhere, therefore reaching children who would not otherwise receive the opportunity to hear a message of hope.